Today I was found not guilty of fare evasion in San Francisco Superior Court after the San Francisco Police cited me for not tagging my Clipper card. I have read several stories about people getting cited by Muni fare inspectors for fare evasion for not tagging their Clipper cards or for being short of fare even though they were in process of adding more cash to their cards. Some people, like myself, have prepaid monthly Clipper cards, so we assume we have already paid our fare and don’t have to tag. The Muni website says riders must tag their Clipper cards and the terms of service for Clipper say the same thing. However, these rules are not backed up by any laws saying people will be punished for not tagging. The following are ways I beat this unfair citation: 1) Call Clipper and ask them to send you a payment history for your Clipper card and show it to the judge. 2) Cite two laws which say that riders can be cited for fare evasion for riding a bus without proof of payment. One is California Penal Code section 640 (c) (2) and the other is the San Francisco Transportation Code 7.2.104, which states that the police or Muni inspectors can cite a passenger who fails to display his Clipper card. Neither the California or San Francisco laws say that it’s a violation of the law to board a bus without tagging. Hopefully this information will help anyone in the same situation as I was. This is good news. But of course, we wish fare inspectors were all aware of this rule (or lack thereof), and that honest, pass-holding riders didn’t have to go through the process of appeal only to learn what we already know to be true. Another good idea: Always at least try to tag. It does seem important for the system to have a reliable account of ridership (which would require tagging), but it would also be crazy to fine people who have already paid. Maybe the above scenario IS the inelegant compromise. Good for her to get the winning appeal by citing laws on the books. If I had a pass on the card would have tagged my card just so I don’t have to be standing around fighting over a fare inspector and a judge, and that also means losing vacation time fighting the case. 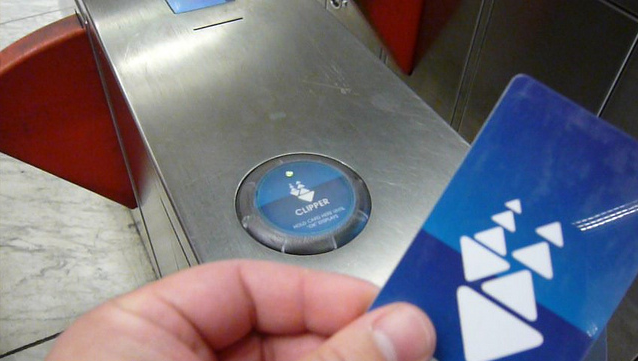 Every passenger should tag their Clipper card, regardless if there’s a valid transfer or pass on there; it gives the agency hard numbers to show the state and feds that more funding is needed, and also allows Muni to identify ridership patterns. Well good! If you’ve got a pass, then you already paid, end of story. Eh, it’s not like the system had “a reliable account of ridership” when people used paper Fast Passes, so it can probably get by without it now as well. I mean, it’s a nice feature and all, but it doesn’t excuse this stupidity. Just count people the old fashioned way, or hire someone to review security footage and let them count. Hmmmmmmm………..It has been my understanding that if you have a Fast Pass loaded on your Clipper Card, the only time you need to “tag” it was on the 1st of the month when you reload your card. Also, obviously, when you take any underground vehicle. Am I incorrect in this thinking? I have not heard of the requirement to tag every time in order to facilitate their accounting of ridership numbers. Sometimes on crowded buses it’s tough to get the card tagged because people are in the way. I just don’t bother because I have a fastpass, so I figure it is fine. Before the Clipper card, it was just a paper pass you would show. There was no rider count.